You have now spoken to the foundation repair expert and he has informed you, after his inspection, that you need to have your foundation stabilized. This is much better news than needing to replace the entire foundation, but what exactly is a foundation stabilization? 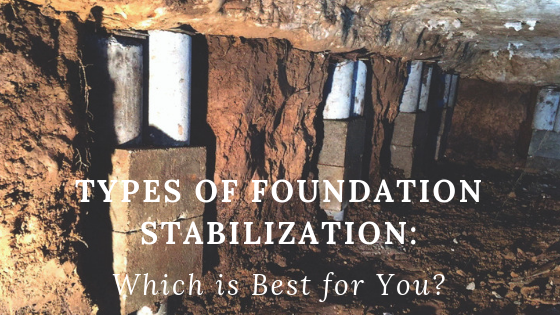 A foundation stabilization is basically propping your home with something other than your existing foundation. 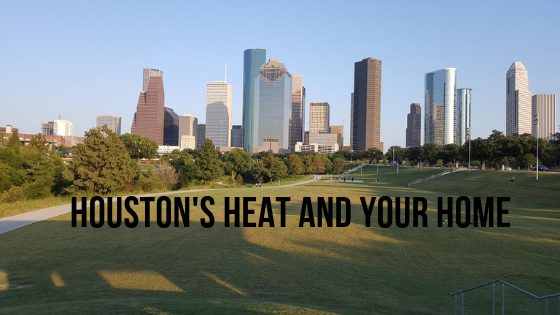 We will be discussing several choices in this article. This is the foundation repair that most structural engineers will recommend for your home. This is a solid and proven method of stabilizing a foundation that has started to shift or sink into the unstable ground. This method uses large galvanized or epoxy coated steel pipes that are connected together. The structural engineer will use a hydraulic ram to drive the steel piers deep into the stable, load bearing soil beneath your home. This foundation repair will raise and support your home to prevent further settlement. Helical steel piers are actually steel pipes with spiral blades on the lower ends. The front section of pipe has one or more helixes (spirals) attached to it. This will give the necessary bearing capacity to the steel pipes. This type of foundation repair will allow for the piles to be twisted into the ground with a hydraulic torque motor. The helixes that are on the lower ends of the steel pipes means they do not have to be placed as deep as the driven piers. 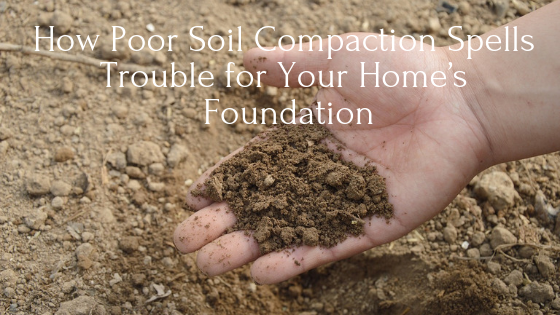 Both of these foundation repair methods allows for the steel pipes to be driven into the load bearing soil much deeper than the concrete foundation can be placed. These piers are connected to the foundation using a metal head assembly. The piles are tested with more weight than they will ever hold. Once the steel pipes pass the testing to know they have the load bearing capacity they need, the foundation repair experts will raise the foundation. The embedded piers are attached to hydraulic jacks which will lift the foundation back to its original level. When the right level is achieved the engineer will secure the steel pipes by bolting/welding them to wall brackets. There are alternative methods for having a foundation repair done. Most experts agree that they are inferior to the steel piers however, the other methods are installed quicker and cost less money for the installation. Let's look at some other options you may wish to consider. These are preset concrete columns that they push into the ground under the existing foundation. These can be installed much faster than the other alternatives we will discuss in this article. They can be used immediately following the installation process. They do not need time to harden like a poured concrete pier would need. However, unlike the steel piers, they are not attached to the homes foundation. This makes the concrete piles much more likely to shift over time. You will spend less money now, but only the future will tell whether you may be spending money for another foundation repair in the future. Concrete piers are made by pouring concrete into holes that have been drilled under the existing foundation for the home. This alternative to the other foundation repair techniques is messier and more labor intensive. The process take approximately three weeks to do a proper installation. The concrete takes time to harden properly and nothing can interfere with this hardening process. The house is lowered onto the concrete piers after they have had time to harden. This method makes it very difficult to know when these piers have reached the load bearing ground under the foundation. This is a repair method that is typically used for raising small concrete layouts. This is used for raising things like sidewalks, garages and sometimes basement floors. This is done by drilling holes into the existing concrete slab and pouring a concrete mixture underneath to create another level of stabilization. This is not a method to be used for a house foundation repair. The moment a foundation repair expert mentions this as an inexpensive fix you should call another company. While this is a method that works extremely well for small concrete layouts, this is not recommended for doing a foundation repair on your home. We have discussed many options for doing a foundation repair on your home. However, each home is different and it is always best to call in a foundation repair professional to examine your home’s foundation. They will examine your foundation and test the soil under your home before advising the best method for your particular foundation repair. The best way to know if you are getting the best advise on your foundation is by educating yourself. It is important that you know the alternatives that the experts think will work best. This way you can know whether a foundation repair company is experienced enough to be the best choice for your foundation repair. This is your home and the future of your family. It doesn’t matter if your family is looking for a home or has owned a home for many years. When you are facing foundation repair issues, it is important that you do extensive homework for the best results in the end. Remember that your home is only as good as the foundation that is underneath. make sure your home and family is safe on that foundation for years to come.